Well, we all know that a nicely made pair of shoes is usually expensive right? But would you believe me if I tell you that they might become even more expensive when you are forced to leave them early just because you did not take care of them? You need to keep taking care of your boots so that they serve you much longer. It is necessary that you keep them away from water and learn how to waterproof boots since water can always destroy the suppleness of your leather shoes. Having your leather boots be in contact with water for a long time with no protection can always cut short their life within a short time. Additionally to this, the salt from water together with other harsh chemicals can always stain your leather boots. This can give you a very difficult task when you will try to remove them after they have already gone through the leather. Anyway, would like to have wet feet? I’m guessing many of us will go for a “no” as an answer to this question, but are you really working towards ensuring you have a warm and comfortable feet? Nothing can really spoil that Monday morning business presentation you are going to have like having squeaking shoes and wet feet. You must really do something about this. 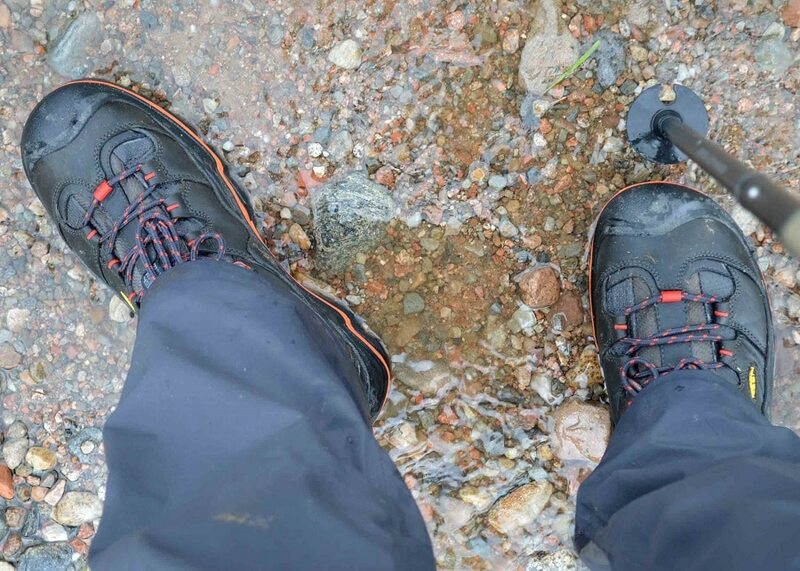 Looking at a lot of hiking and waterproof boots, they are always made using some protective waterproof membrane. This usually breaks down slowly by slowly making it not to be so good for the protection of your feet. Actually, this is the main reason as to why you will always have a wet or sweaty feet after walking for several hours in swampy areas. From your feet getting wet this often, you can always develop some complications like catching flu among others. 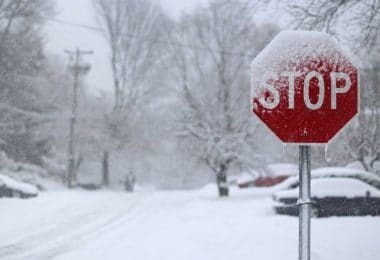 For all these little troubles to be avoided, you will need to find some other different way to keep your boots protected thus also keeping your feet warm and dry in a comfortable manner. Today we are going to look at a few tips on how you can waterproof boots and make them last a little bit longer than when they are not protected. Just a simple tip before we even start. You can also try protecting your leather boots by avoiding direct heat e.g. from sitting close to campfires, heating systems and even from fireplaces. This will help you try to keep your boot’s thin membrane not to crack. Using an ordinary wax can really come in handy for those who have boots that are made with leather all over as this can protect them successfully. 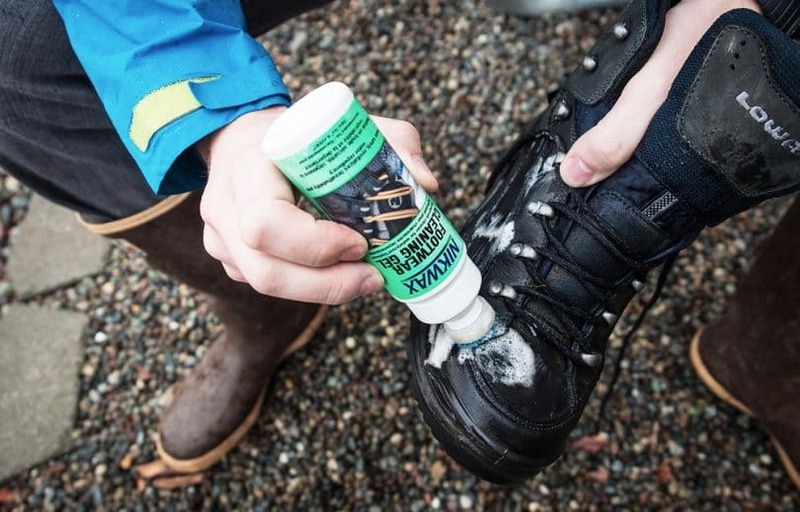 Many people will usually go for other sealants and different oils specifically made for the boots, however, using an ordinary wax always works best to waterproofing your boots. Let us look at a simple way on how you can use the wax to achieve the maximum results. 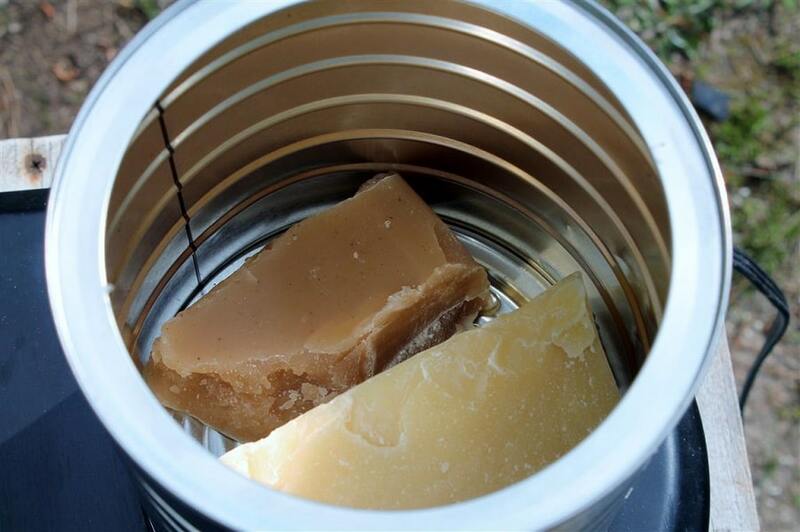 The Kiwi camp dry beeswax is a good and also the most used product that you can always find and it’s readily available. Apart from leather, this can also be used for fabrics and other synthetic materials too. This beeswax can really help in repelling water away from any product including, the boots, and other outdoor gears. Find a nice and warm place and place both your boots and the wax. Make sure you clean the boots from any dirt or mud. From our previous statement above, we already said that direct heat can always damage your boots, however, for this wax to work effectively, you will need to slightly warm it together with your boots. Basically just let them stay in some warmth for a while. Make sure the boots are just slightly warm but not hot. After this, you can take something soft, maybe a piece of cloth or some tissue paper and use it to apply the wax on your boots, but only the leathered parts. Also, you should be keen not to make the wax come into contact with any part of your body, starting with your hands or else they might also become waterproof too. Make sure also not to use the wax on the plastic or the on the rubber parts of your boots. Place your boots in a warm place, maybe the same place you placed them before when you are done. For the wax to be absorbed well, you will need to leave them there for about an hour up to a night. Make sure you wipe out the excess wax too. For your boots to be well protected, you can always repeat this process maybe once every month. Some people will always ask when they would need to apply the wax or how will they know that it’s time to apply the wax. Well, definitely you will just notice that the wax you previously applied, is already used up thus not protecting the boots. The boots will appear to be dry and cracked. You can also go ahead and take off the wax by yourself. This can be done by simply using a cloth which is a little damp and some soap, a special one for that matter. With these, you can brush off the used up wax and apply again a new fresh wax. Use the same procedure as mentioned above, when applying the new wax. Beeswax usually works best and can keep your boots protected for several months or even a year. Just to add to what we have already mentioned above, a mixture of the beeswax and Vaseline can also be used when melted. 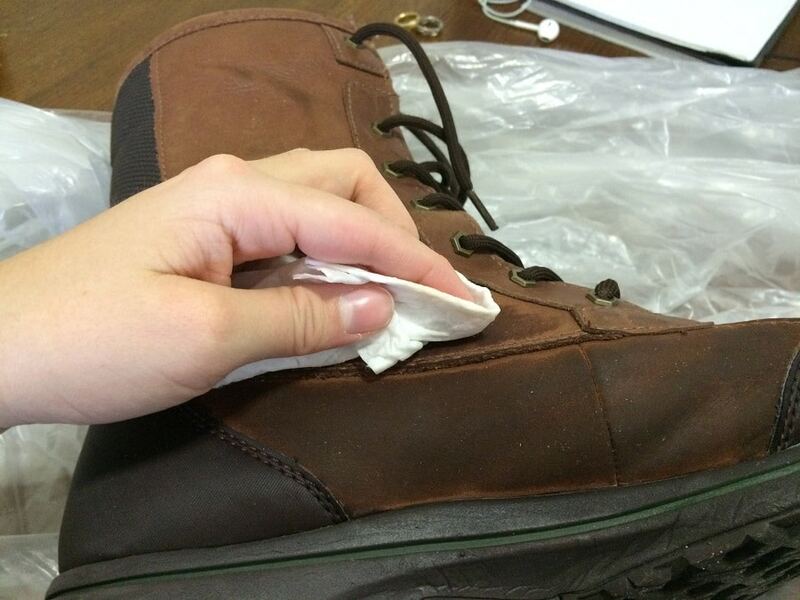 You can then use a simple painting brush when applying it on your boots. You can then proceed by using a heat gun for a while, this is to enable the mixture to be absorbed inside the leather. 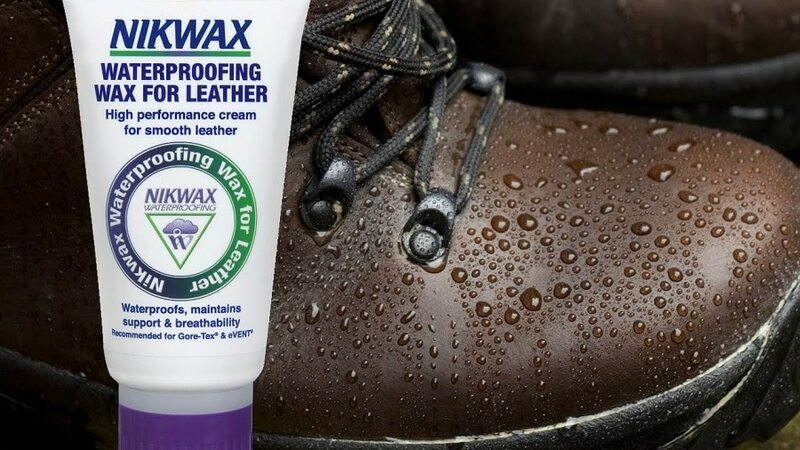 This is actually a more efficient and better way to protect your boots and making them waterproof for a longer period of time with just an ordinary wax. Just like there are many ways to killing a rat, there are also many ways in which you can make your boots be waterproof. Another nice way do this, is simply by using the waterproof spray. This is a very simple way and also a very quick method compared to the one we have already talked about. You just need to get the spray and you will be done within no time. So with this, you will just need to find a brush and use it to clean your boots with. Wash it just under a running water then find a clean rug and use it to dry up the boots, just so that they remain slightly damp. Don’t dry them up completely though. After this, you can then measure a distance of approximately 6 or 7 inches away from the boots and spray them. The reason as to why you should leave the boots to be damp is simply because it helps in the absorption of the spray since it enables the spray to easily penetrate through the fibers. 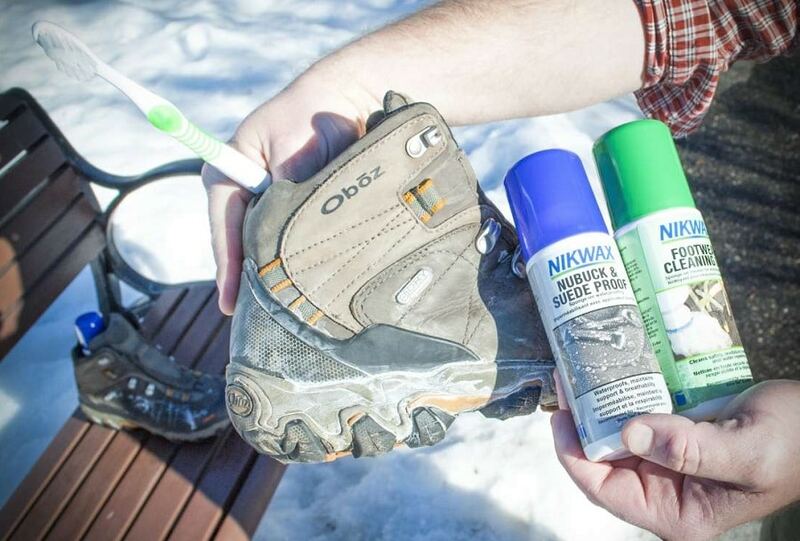 You only need to spray in small quantities all over your boots. This will have the spray absorbed more uniformly. After doing all these, you should leave your boots to stay for several hours or even a night. You must be very keen when applying these products and you are not supposed to forget even the finer details like the joint and seam areas, this usually makes your boots be susceptible to the water penetrating through. Also, you must make sure that both the joints and seams are properly soaked with the solution from the spray, wax or any conditioner you use. 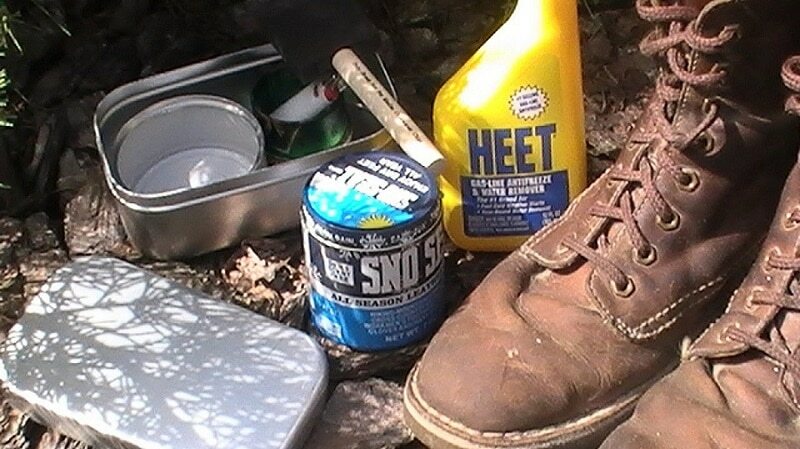 To add on to this, also you can use some other compound solutions which can still help to waterproof your boots. They usually don’t give any special shine to your boots but their main purpose is to protect them. One advantage they have is that they can protect your boots for much longer since they tend to slowly wear off. For you to make your leather shine, you can additionally apply some other leather polish or some special wax on your boots. Let the conditioner work for some time when you first apply it, maybe for several minutes. However, the conditioner should not be left to work long because this might make the leather much softer. This should also be a reason for you to make sure that you do wipe off the excess conditioner or wax that you applied. 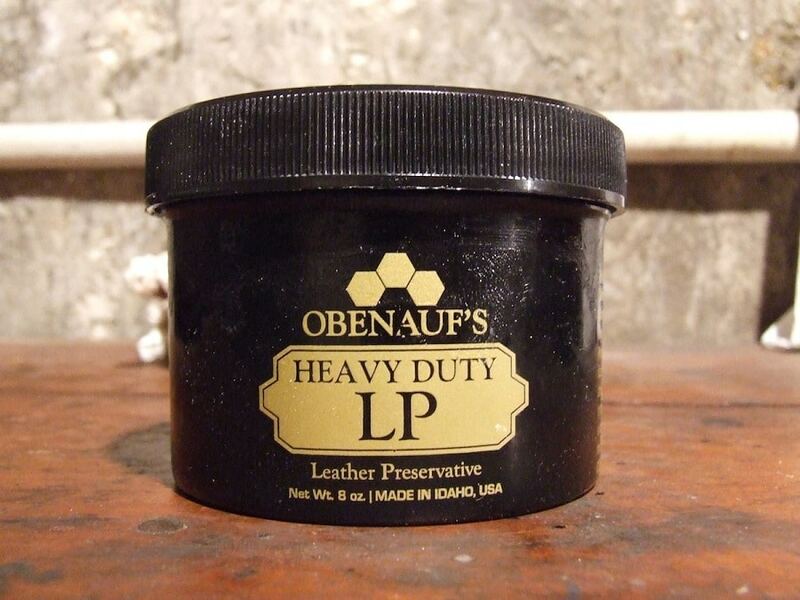 Obenhauf’s Heavy Duty compound crème can be used as a good example when it comes to the waterproof compounds. This conditioner doesn’t only waterproof your boots, but it also helps in protecting them from mold and mildew. This is an added advantage since the water that can usually be retained by your boots always provides a suitable condition for the mold to build up. This conditioner will also keep your boots to stay durable and clean for much longer since it keeps the leather from drying up and cracking. Applying this conditioner by using the same procedures we have already mentioned above. Just use a cloth and apply it on the already clean boots but still remember to wipe off any excess conditioner. We also have Sno-Seal Weather Protectant as another compound conditioner. This is also made of the beeswax. This compound conditioner is always regarded as one of the best since it does not soften the leather excessively and can also retain its conditions even in freezing temperatures. Using this conditioner will always guarantee you warm boots since it allows the leather to breathe thus you will not have to worry about any moisture building up inside your boots while using them. Another very important thing to note is that, when washing and cleaning your boots, just before you use any of the mentioned products above, always check if there could be some mold somewhere and remove it. A simple way to do this is by mixing some water and vinegar and use the solution to remove the mold. You can also use any brush you prefer to scrub away the mold. You need to be a lot more careful when scrubbing as this might slightly cause some damage to the outermost layer of the boots. You will have to keep on doing this gently even if it means doing it a lot of times until you do away with the mold. For the nubuck and the suede leather boots, the best product and solution that you can choose to use is the Suede Proof Spray and Nikwax Nubuck. This is also a very simple product to use, you will need to use a cloth which is slightly damp or a soft brush to remove the dirt from your boots. When cleaning, you can also use the Nikwax gel for cleaning or you can just use some leather soap and water too. After the cleaning, take the spray and make sure you gently apply some little bit of pressure on the sponge by pressing so that the cap seal is broken after shaking it well. 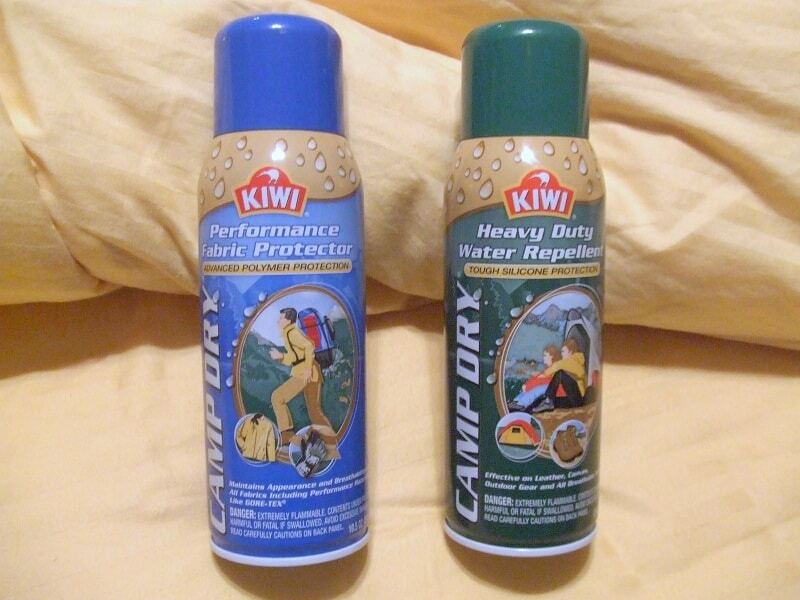 Check and ensure that the boots are damp enough then spray the boots surface with just the required amount of spray. This should be done of course from a distance of about 6-7 inches away from the boots. After finishing the spraying, leave the boots for several minutes then check for any excess solution of the spray and wipe it off then leave the boots to dry before wearing them again. Also not that the colors might change or darken a bit when you use nubuck and suede. This often occurs with any product that you decide on using. Generally, if you do spend much of your time in swampy or muddy places which tend to have too much water, it is then recommended that you use greasy products or sprays. You should also note that these products are not to be used on nubuck and suede. Using the greasy products on suede or nubuck will only lead to some unpleasant stickiness being created on your boots. This might cost you a lot of time when trying to remove the grease and reapplying again. Grease also has a nature of attracting dirt much easily and using this with your nubuck and suede, it will only result in more dirt on the boots and this is definitely something you do not want. You may also want to try out the silicone sprays. 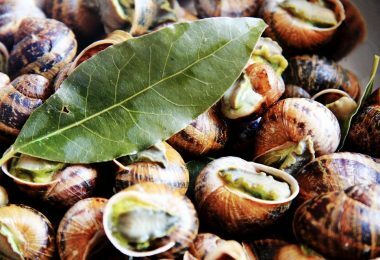 These will usually create a silk surface, mostly when applied to ordinary boots. Most people will usually go for silicone for their hiking gears and tents due to its ability to successfully repel moisture and water. You can also choose to use a water-based silicone spray when you are planning to use silicone on the nubuck or suede boots. 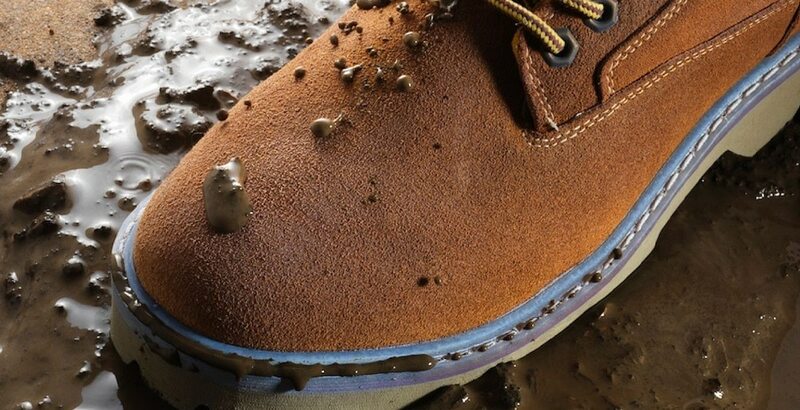 With the silicone spray that is water based, you are not allowed to use too much of the spray since it can cause some cracking on your boot’s surface. 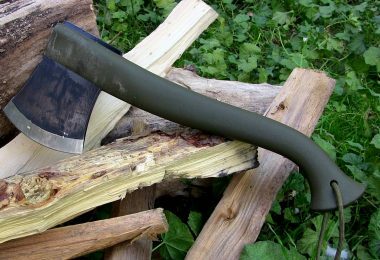 This is usually due to its ability to make the leather dry too fast. Well, for now, acrylic copolymer is the latest breakthrough on the market. This usually creates a very fine and invisible web on the surface of your boots. This helps a lot when it comes to preventing the outside water from penetrating and getting through into your boots. For more informative tips on how to repair your hiking boots, do read our article on this subject. It is also porous enough just to let out the moisture from your boots. Another advantage that this product has is that the product does not affect your boots whatsoever in terms of both the texture and the color of the leather. It also does not make it become slippery the way silicone products do. This latest invention can also be used in the color restoration of some old leather shoes. You can test each of these products and the methods on your leather boots and choose the one that will suit you the best. 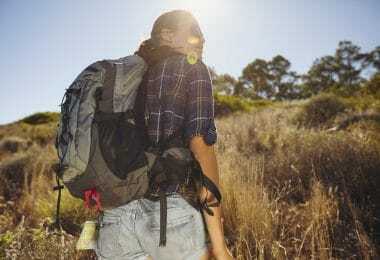 For details on how to choose the best hiking boots for your needs, see our earlier article on this topic to find out.